Much like when the Newtown tragedy occurred, I find myself unable to stay within my "regularly scheduled programming." Writing about anything else doesn't feel right. Like I said yesterday, part of what I love about blogging and writing is that it's my best form of expression. It's an outlet. But it's hard to find words sometimes, especially when something like that happens. 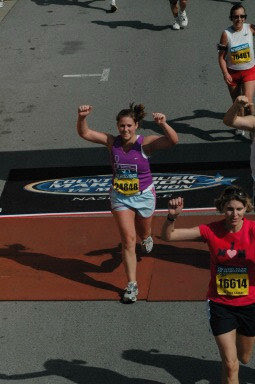 Back in 2007, I ran my first half-marathon—the Country Music Marathon in Nashville. 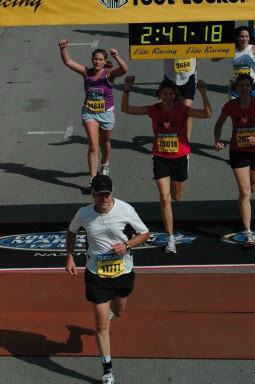 I ran with Team in Training, which is a fundraising program for the Leukemia & Lymphoma Society. 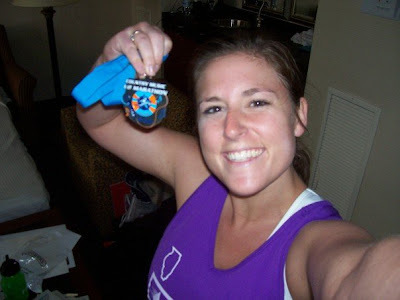 You raise money for cancer research, they fund your marathon expenses. Overall, I raised $3,360. I'm not a "runner" by any stretch of the word. I'll go for 3-mile runs on the treadmill or by the lake on a nice day, but that's about the extent. But for six months before the half-marathon, I ran nearly every day, for as few as 20 minutes, or as long as 2 hours. I got up every Saturday morning to train with my team along the lake, in 0-degree temperatures at 6 a.m. My longest run before the race was 12 miles. I went to Nashville by myself. I quickly met a group of people that I hung out with pre-race. There was an easiness about meeting these people, who were there for the same reason as me. Come Race Day, I rose at the crack of dawn, found my new friends and we made our way to the course. After the guns went off, I found my pace easily, falling in step with a group. We ran together, stopped for water, huffed, puffed and made visits to the medic tent. 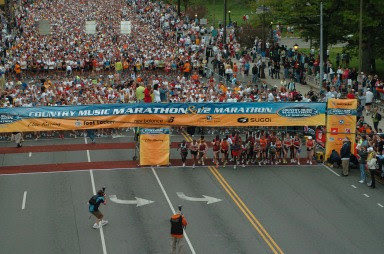 Along the way, thousands of people lined the course. People set up in their front lawns, some hosting brunch & mimosas for friends, others handing out bananas or sips of water. They were yelling and cheering for everyone—even me. Each hill I faced, I could hear someone on the sideline telling me I was almost there, and that I was doing great. It kept me going, it really did. All runners before the race. It was amazing. To have so many people there, each for their own purpose, but all for the same end goal: to complete this amazing race. The camaraderie and enthusiasm can only be understood by anyone else who's ever been involved in such an event. It was a similar feeling when I completed the Tough Mudder. 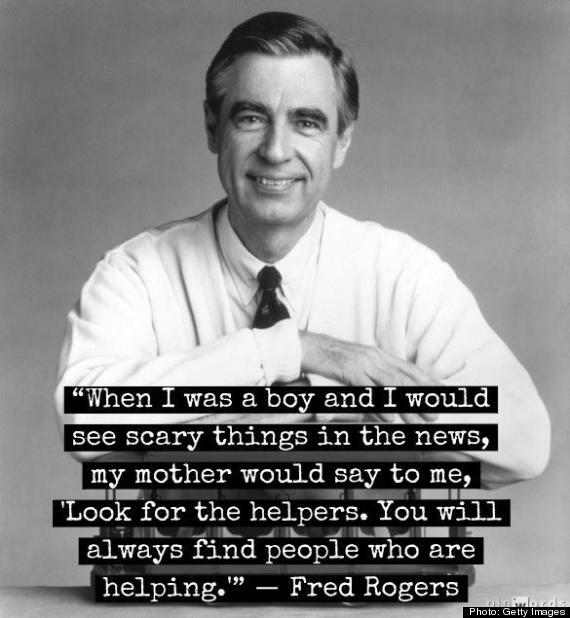 To be able to recall those feelings so vividly makes me all the more sad about yesterday's events. To think that those people were doing something as simple as running—something they maybe loved, or maybe they loathed. Maybe they were doing it in honor of someone or something. Maybe they were doing it for their child, who couldn't run it themselves. Or maybe it was just because they qualified. That they had friends, husbands, wives, parents, siblings, nieces, nephews, and children there to cheer them on...and that someone could take away such a simple joy in life in a senseless act is beyond me. And now, I'm going to run. I feel the same way. Having run my last marathon 5 weeks ago, it was a strange sense of fraternity I felt for the runners yesterday. The worst part is, it hit mostly those who think of us runners as more than just runners and who find our running important enough to come out of their houses and watch and support us!